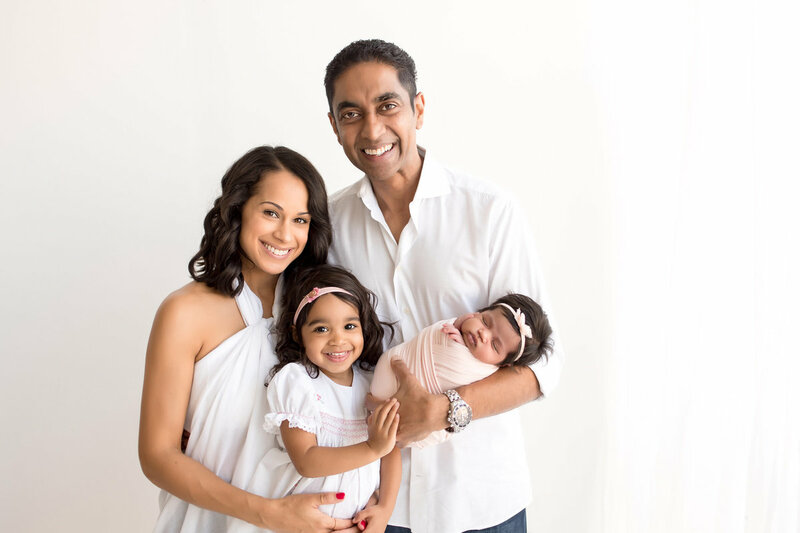 We have been honored to be interviewed by Robin Carter and Sonia Azad with WFFA about our newborn photography. The story was nominated for an Emmy in November 2018 and we won second place! To watch the story click, here. 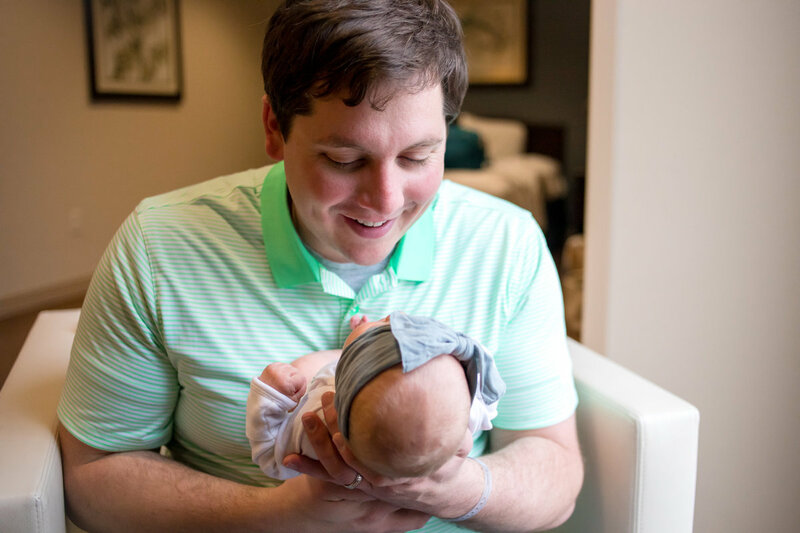 With a growing business and two infants at home there isn't a lot we have time for but volunteering is dear to our hearts. Thats why we volunteer for Now I Lay Me Down To Sleep. 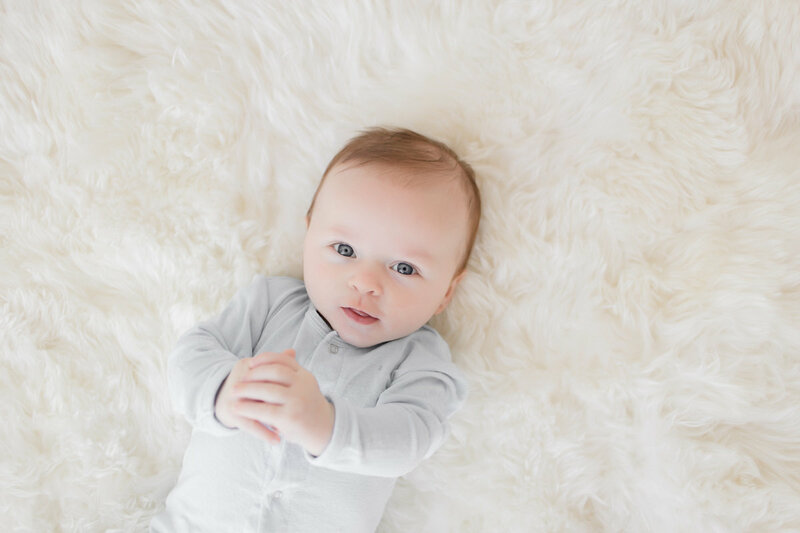 To introduce remembrance photography to parents suffering the loss of a baby with a free gift of professional portraiture. 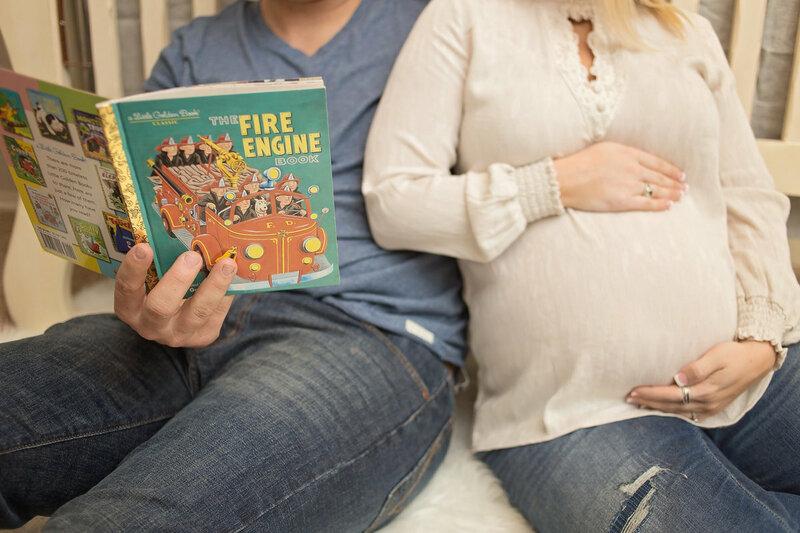 Along with this gift, I love serving families of Rainbow babies, and have done a story about my work with WFFA. 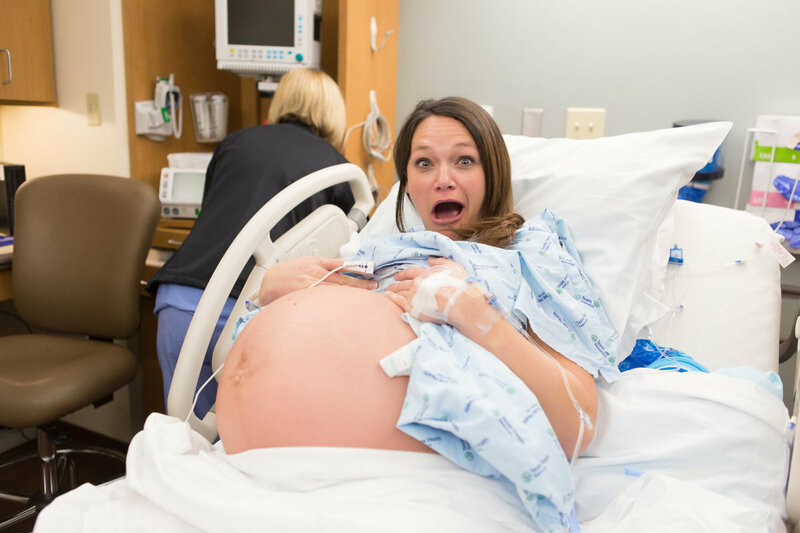 To see the story, you may click here. 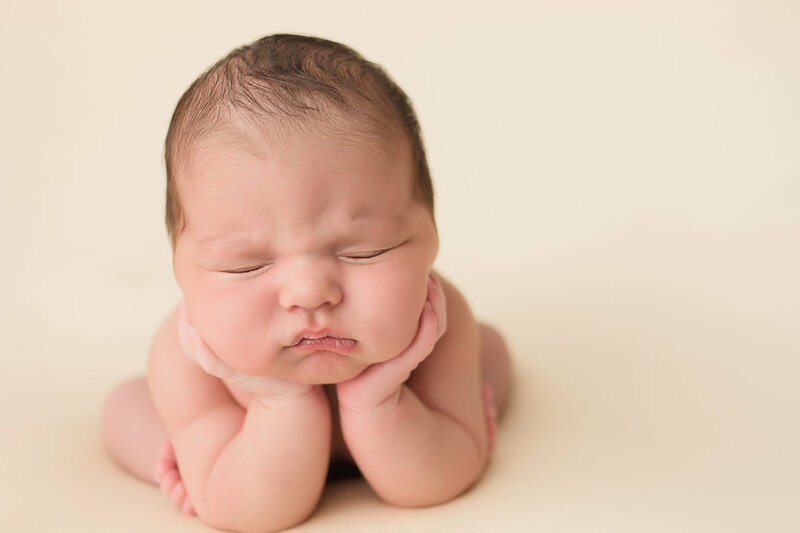 Oh my goodness, we love Fat Baby Photography!! The owner Jessica is amazing with babies/kids and made our little one laugh and smile with ease. The work is top notch from styling the shoot to beautifully edited images. 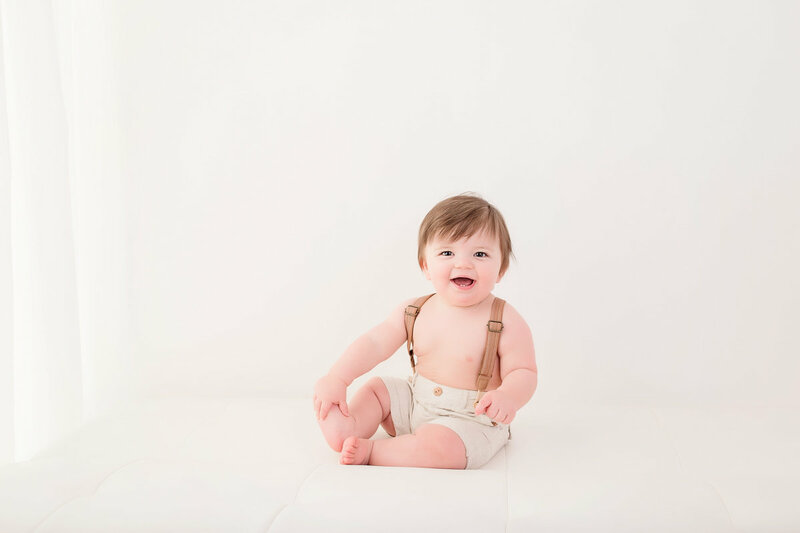 In a world with lots of photographers to choose from, Fat Baby truly stands out in all aspects. Highly recommend! 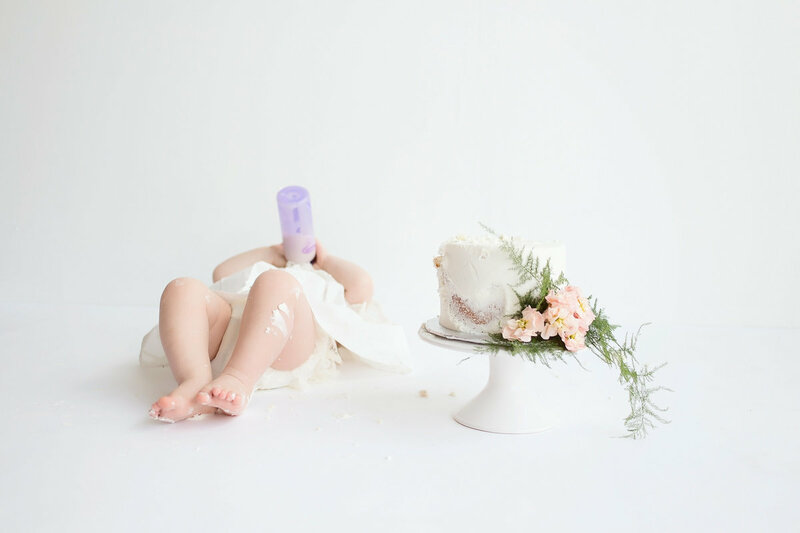 I can not say enough amazing things about Fat Baby! 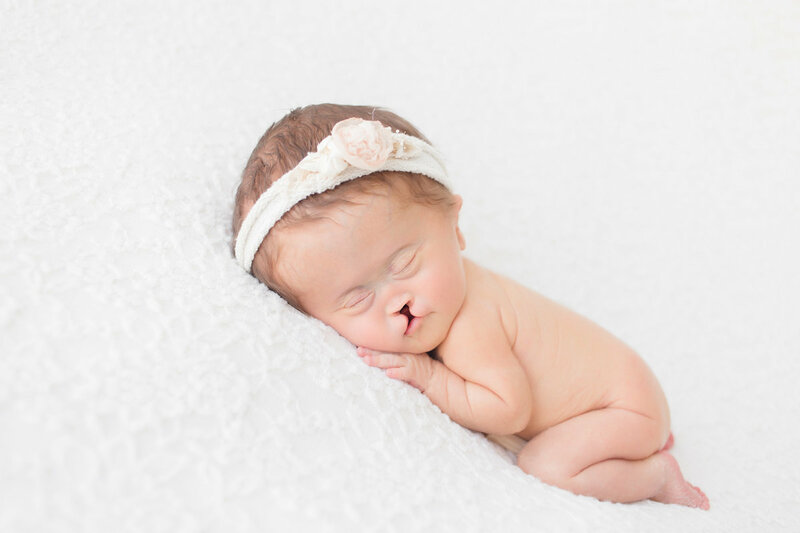 Jessica has brought so much joy to my family as a person and professionally! Best pictures we have ever had! So thankful to have met heR! Completely amazing!!!!!! We have used them sevral times (9 lol) and it just does not get any better!!!!! Most amazing photographer you could ever hire. 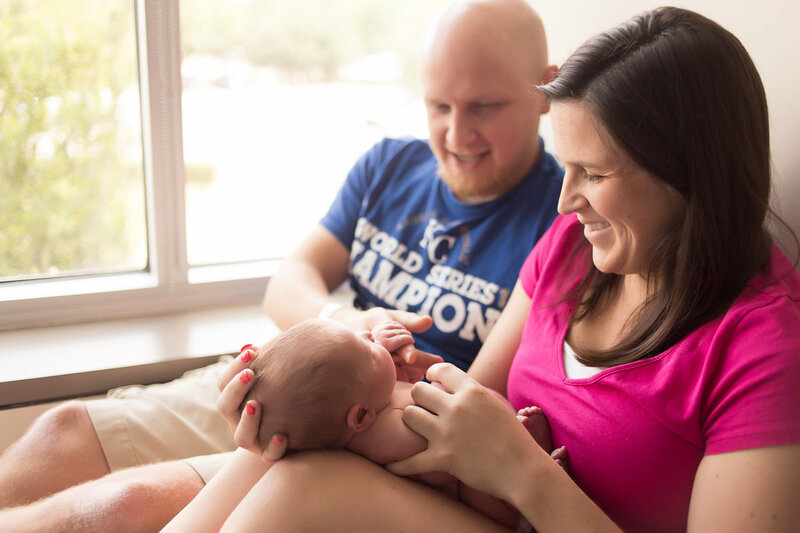 I was lucky enough to meet Jessica when I was pregnant with my twins several years ago. 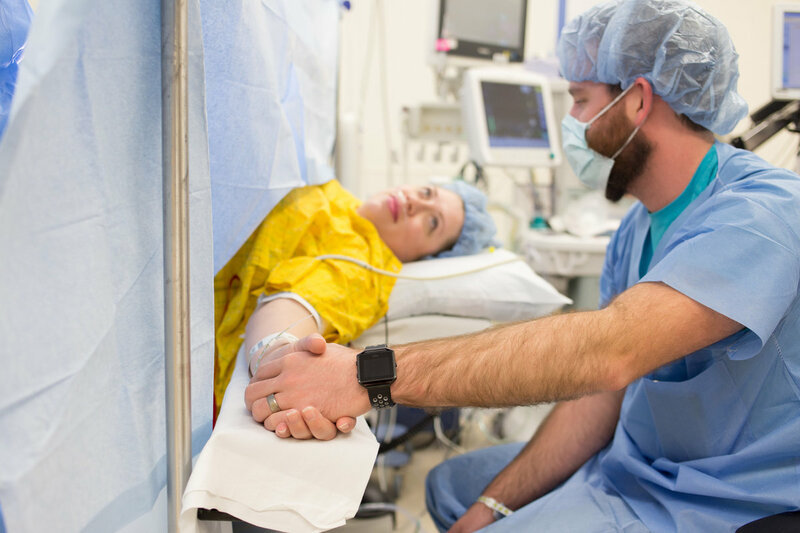 During the last 4 years she has photographed my girls on many occasions and we even got to have her in the OR capturing once in a lifetime photos of our new babies birth. She takes so much time, passion, dedication, love and so much more into every photo she captures. Hiring her would be the best memories you could give your family! 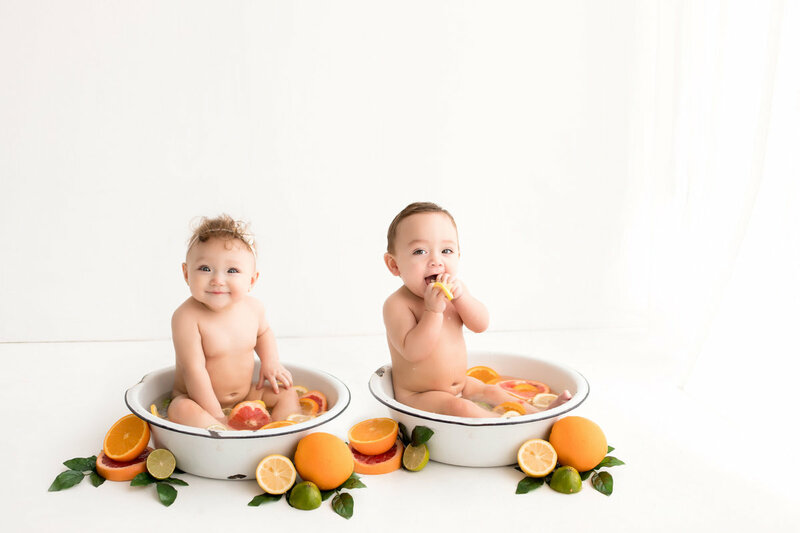 I can’t recommend Fat Baby Photography enough. 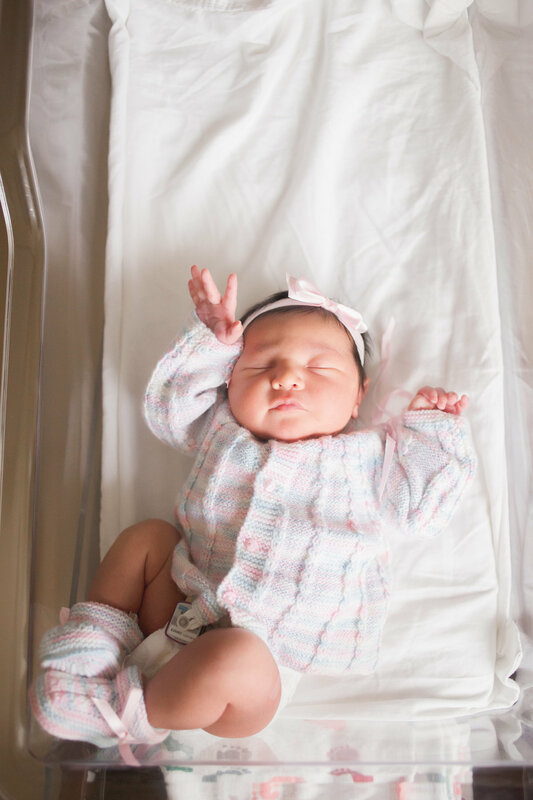 We started with her for our newborn session and can’t seem to get enough!!! 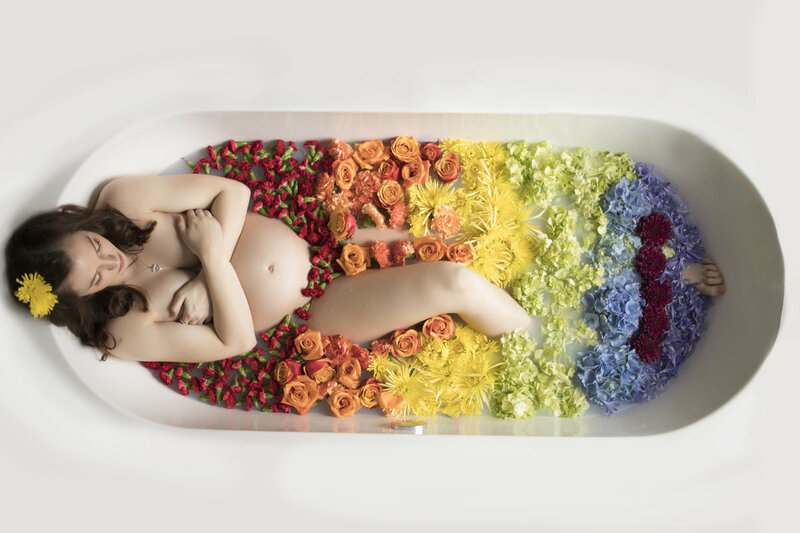 I’m always blown away by her creativity. 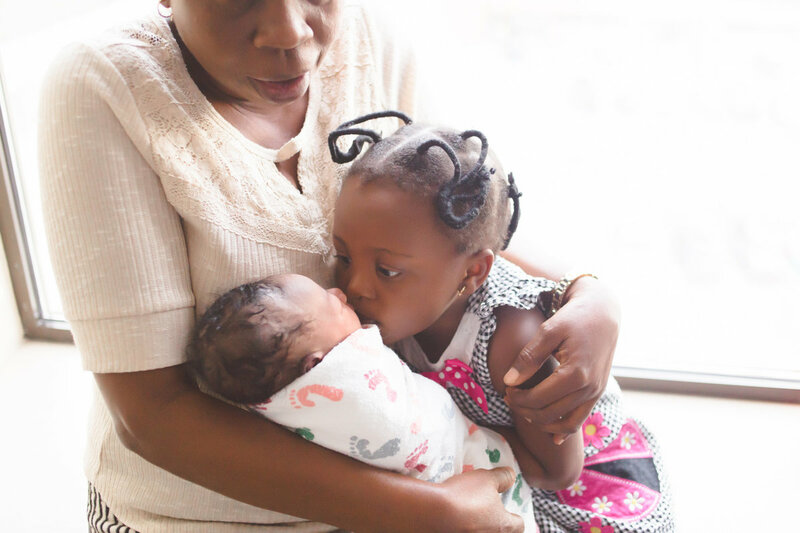 Also, not only is she the best at what she does but she is SO personal and loves your babies as if they’re her own! Hi. We are Jessica & Ana. 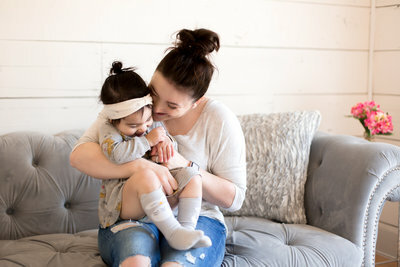 Two people with a love and passion for photography and babies. Jessica is the talent behind the camera while Ana is the brains of this amazing business. We are located in Dallas, in the Lakewood - White Rock area. 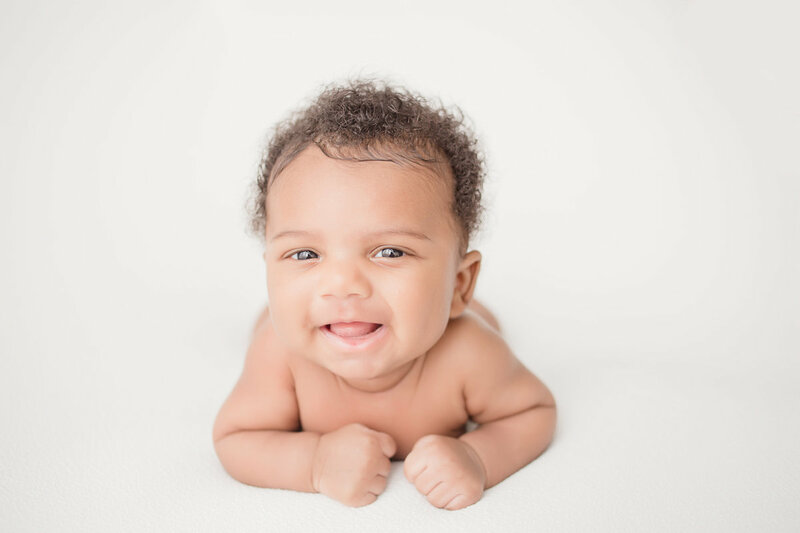 Our studio is part of the Dallas Birth Center with a full array of prenatal and postpartum services! Babies have always been a passion of mine. My mother owned an in-home daycare until I was 12 years old and she then became a full time mom. 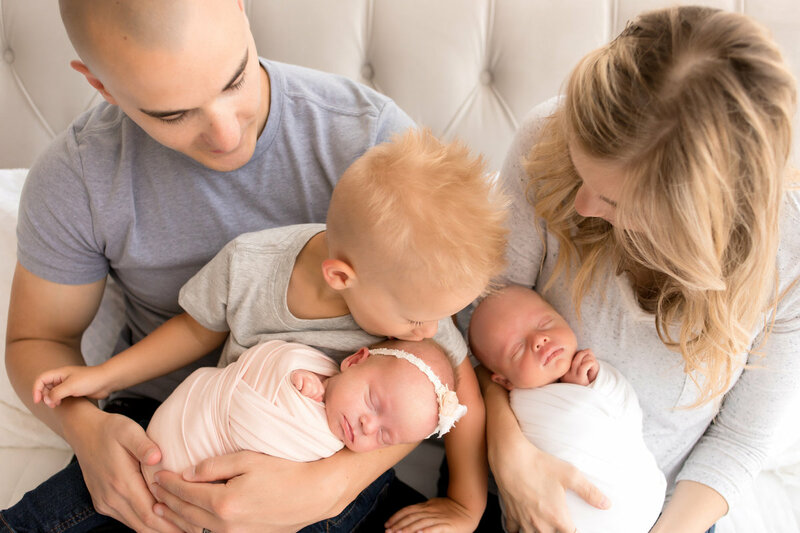 Babies have been my life for as long as I can remember and I love to be around them everyday watching them learn and giggle. This is more than just pictures to me- these are memories. 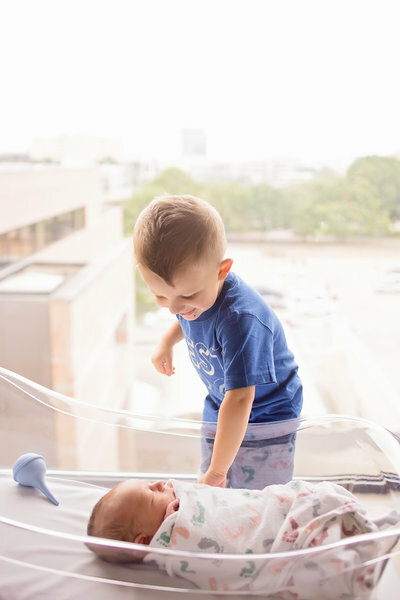 Its your babies personality shining through the images that makes me love this so much more. 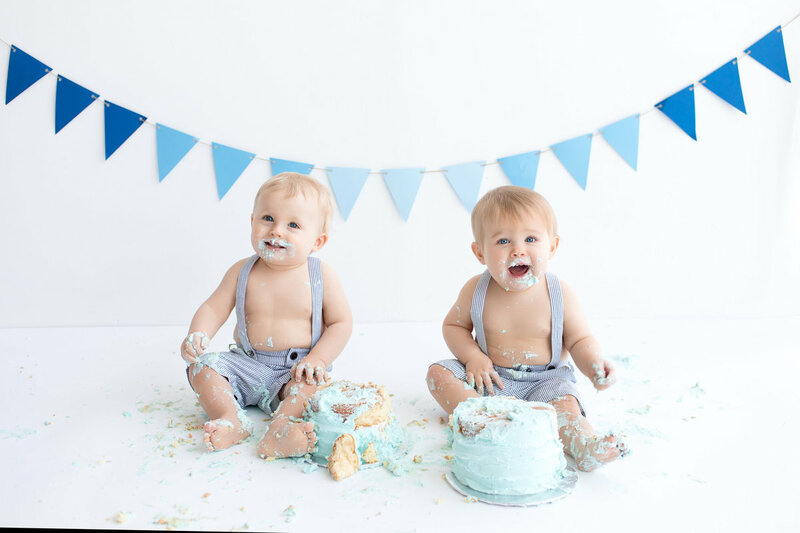 I am a PROUD surrogate mother of boy/girl twins that are two years old. 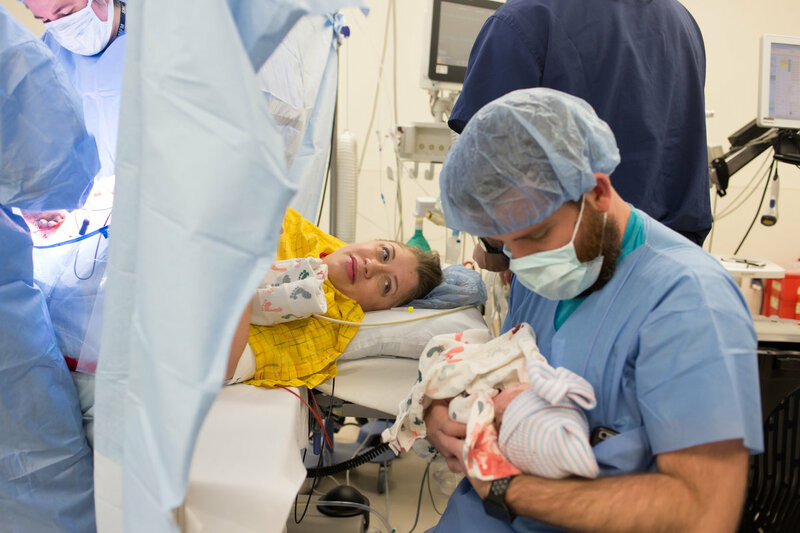 And, my wife, Ana delivered our own boy/girl twins Ford and Davis in June 2018! 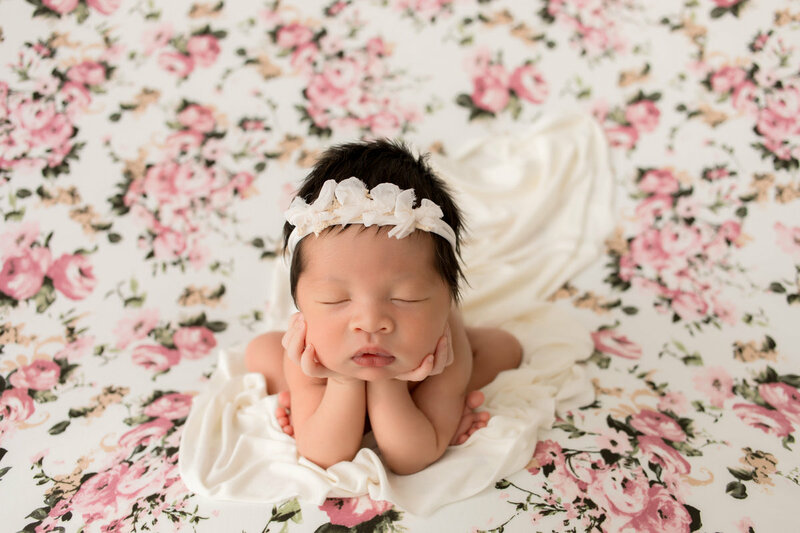 Newborn Sessions start at $750 with a variety of options for digital images and products. 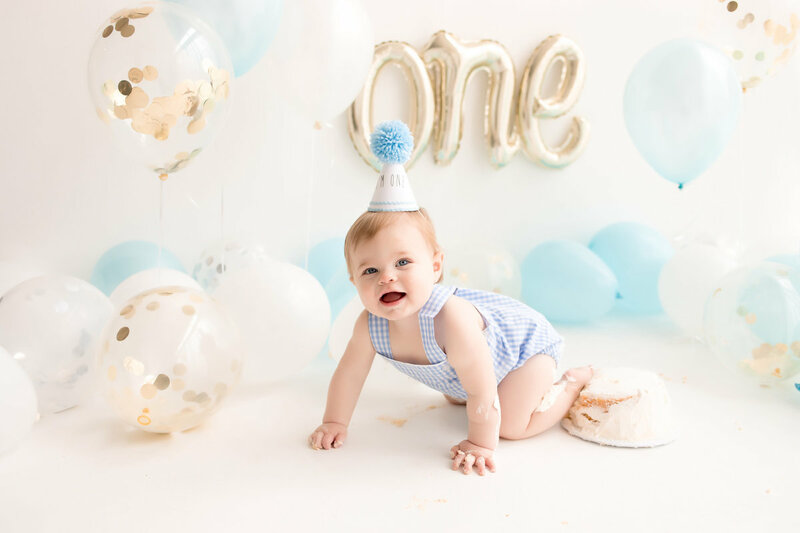 Baby Milestone sessions along with family sessions for your little one start at $350. 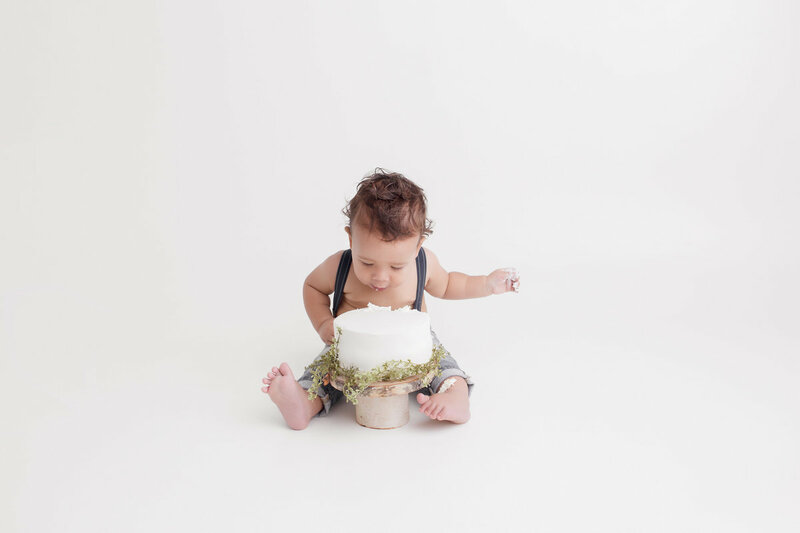 Cake Smash sessions start at $400 and include the cake. 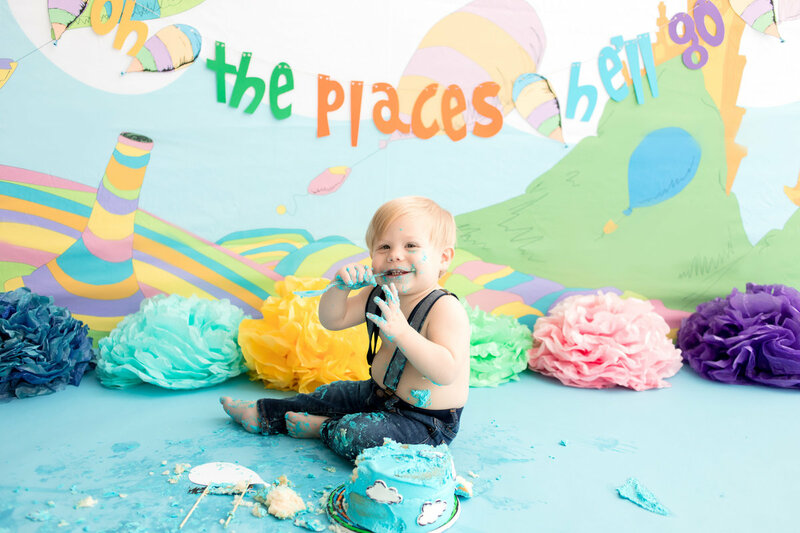 Options for themed cake smashes are available! *For a full list of sessions and pricing please email us! 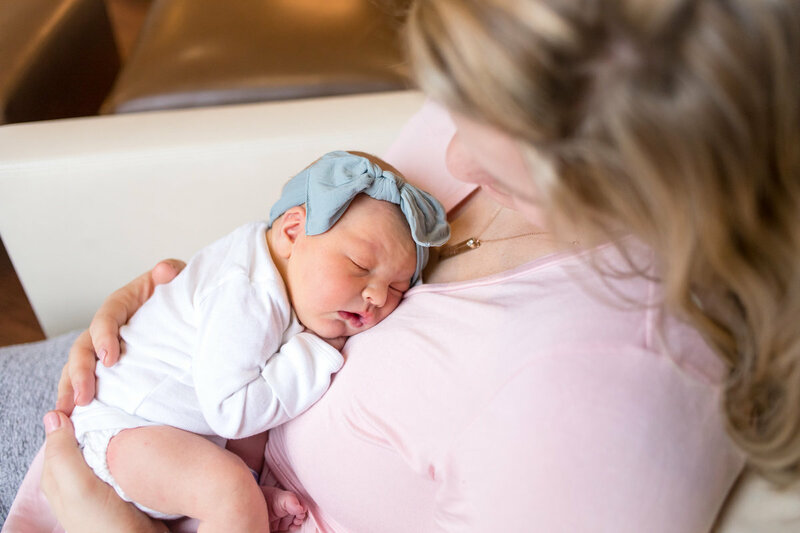 As a professional Dallas newborn photographer, we try our best to make sure our newborn photography pricing is affordable to fit any budget. 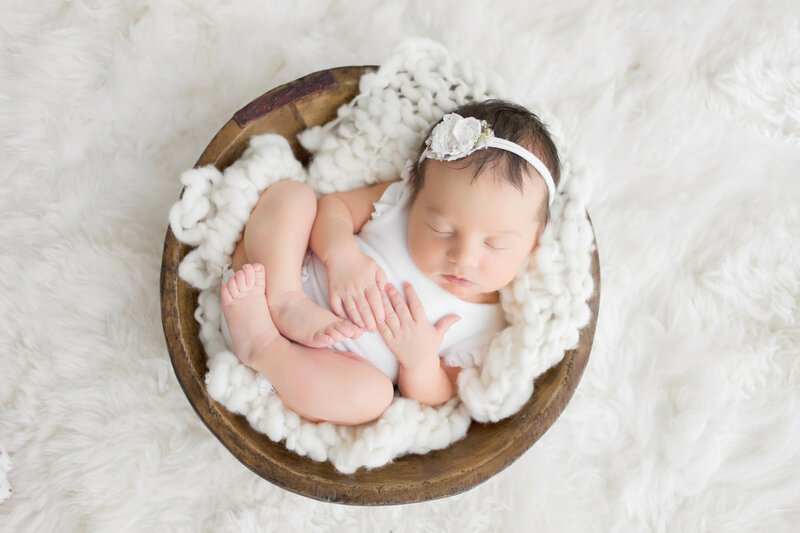 Our newborn photography packages include beautiful products as well as digital images. 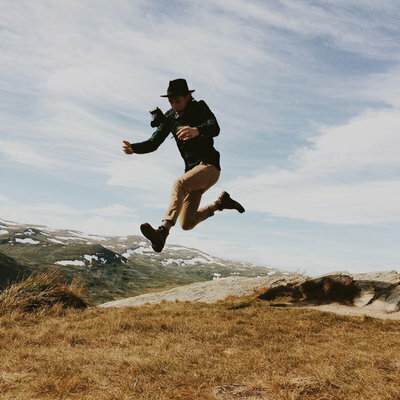 We also offer our clients access to our printing lab directly from your online gallery so you can have the quality of my print labs at your fingertips! 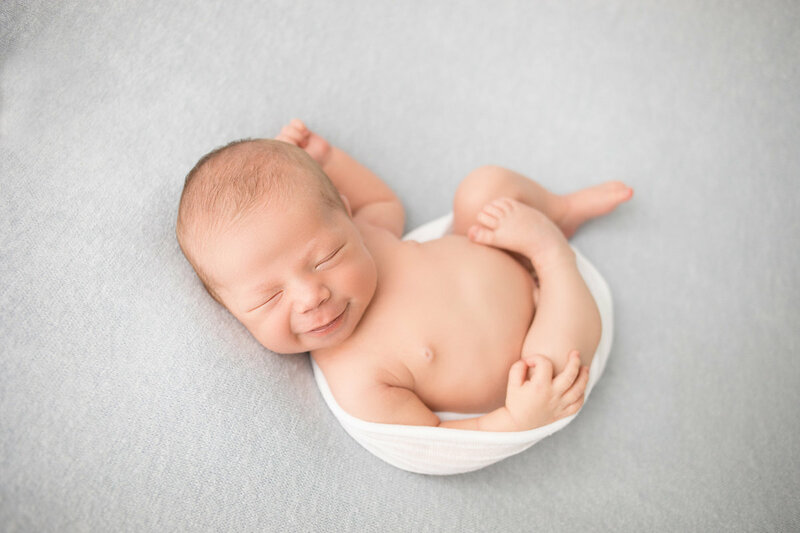 We prefer to focus on the simple beauty of your newborn with minimal use of props and we provide everything for the session. 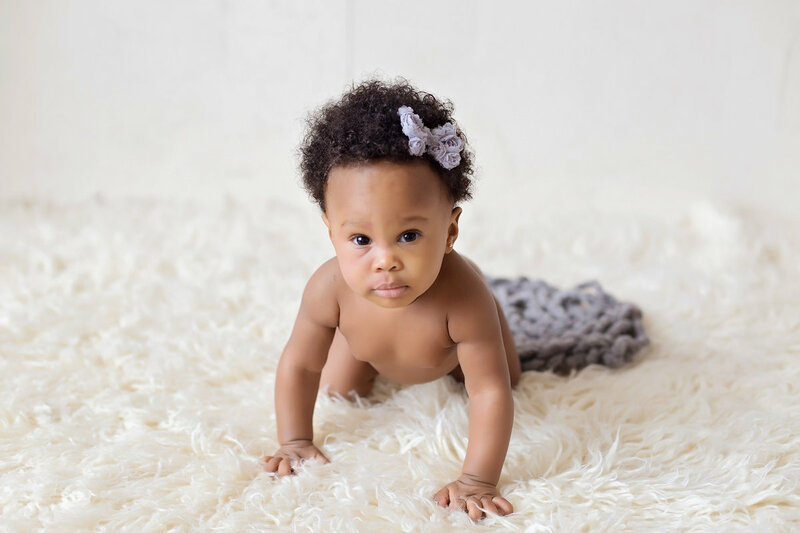 The studio photographs posed newborn sessions between 6-18 days after birth in our studio located in East Dallas location. 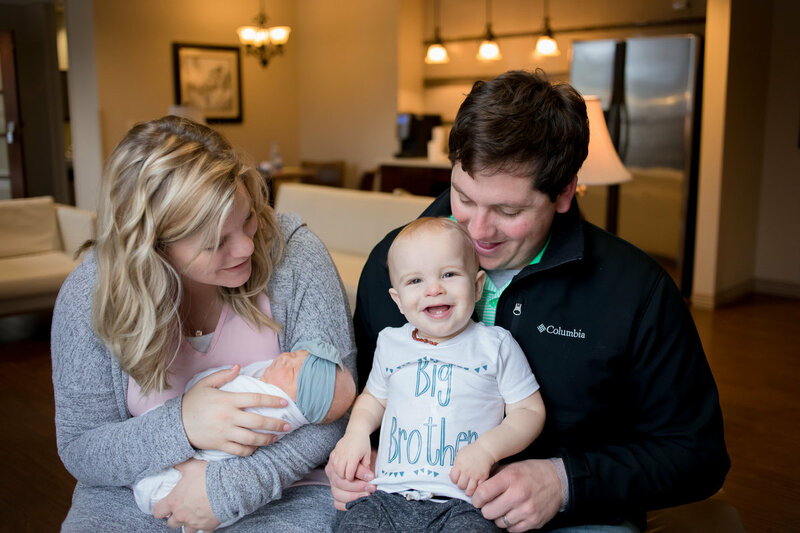 We only book a set number of newborn sessions each month, so please be sure to secure your due date on our calendar as soon as you know you want to book. 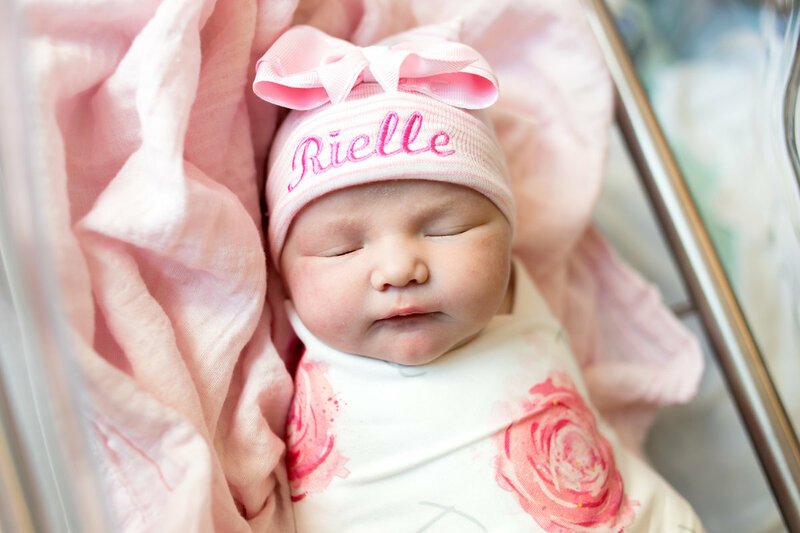 If your baby has already been born we will try my best to squeeze you in so contact me to check scheduling! 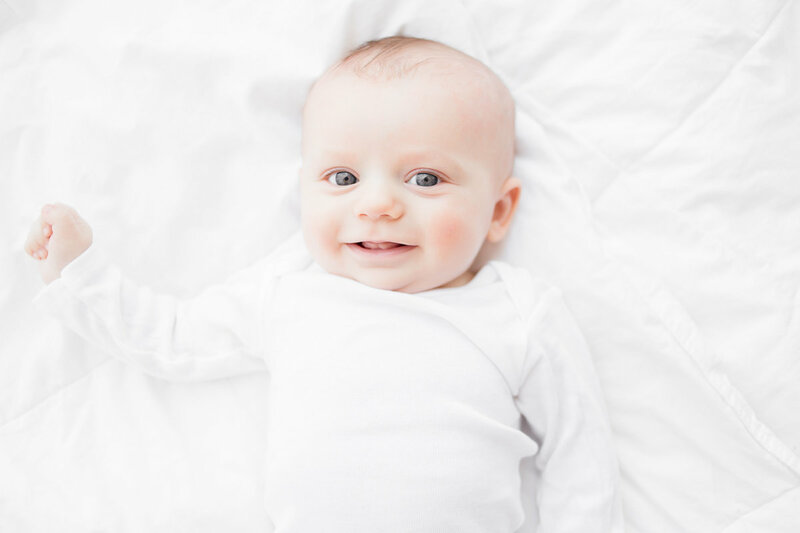 As a Dallas baby photographer, I love to capturing your little one’s personality with goofy grins and perfect pout while shooting on my all white backdrop. 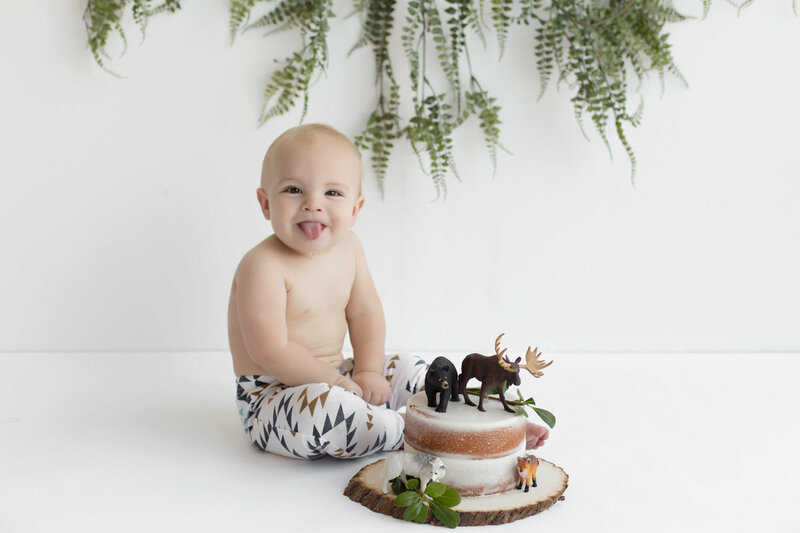 We will also use my collection of simple props, toys and neutral wardrobe to show off their sweet rolls and chunky little toes! 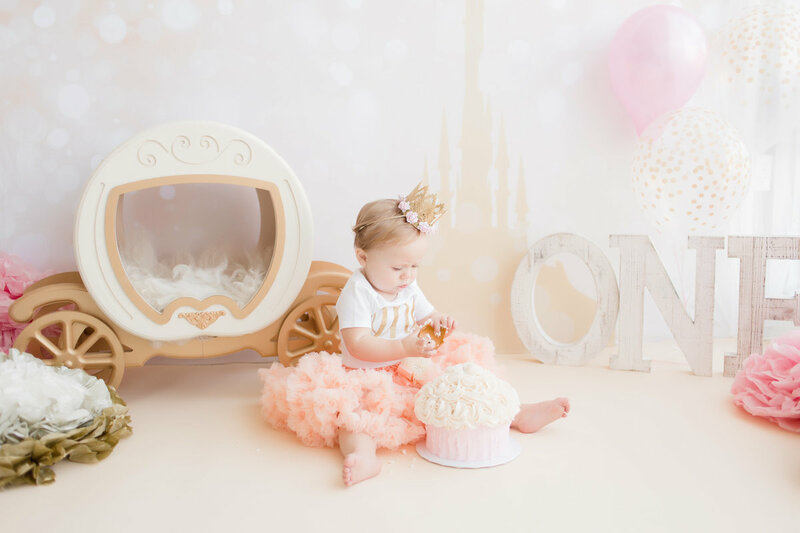 All my baby photography sessions include your little one to be dressed in one outfit of your choice. And, of course naked booty cause lets get real everyone loves a nakey baby! 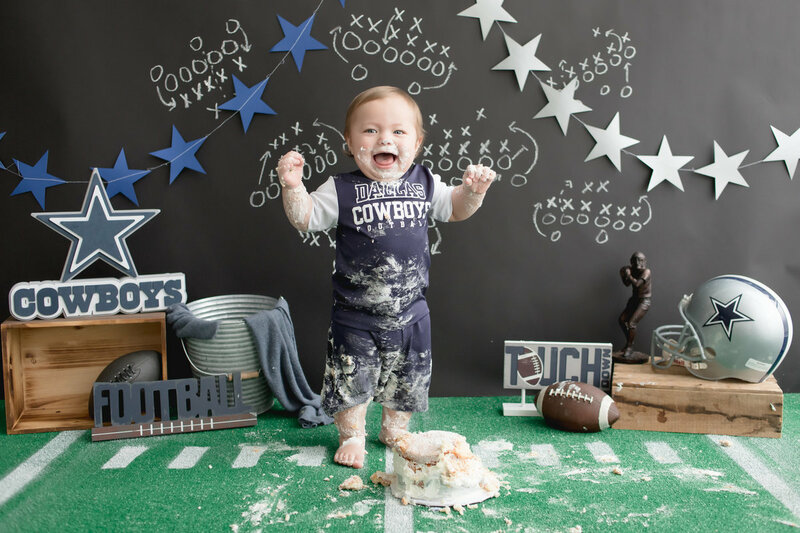 As a Dallas baby photographer, I feel it is important to offer All-Inclusive with no further purchases required. Each gallery has a set number of digital files (with a print release) that comes with your package. 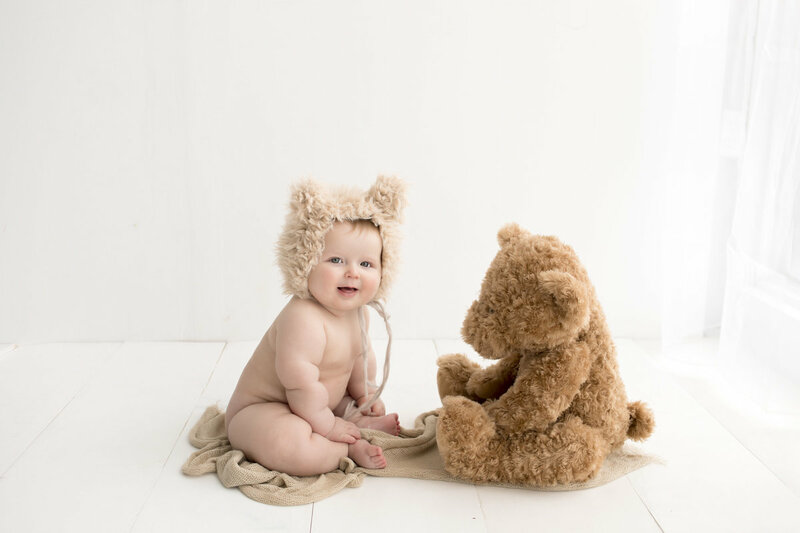 Our sessions last from 30-45 minutes at most since your little one wont last much longer. Modeling is a hard job! 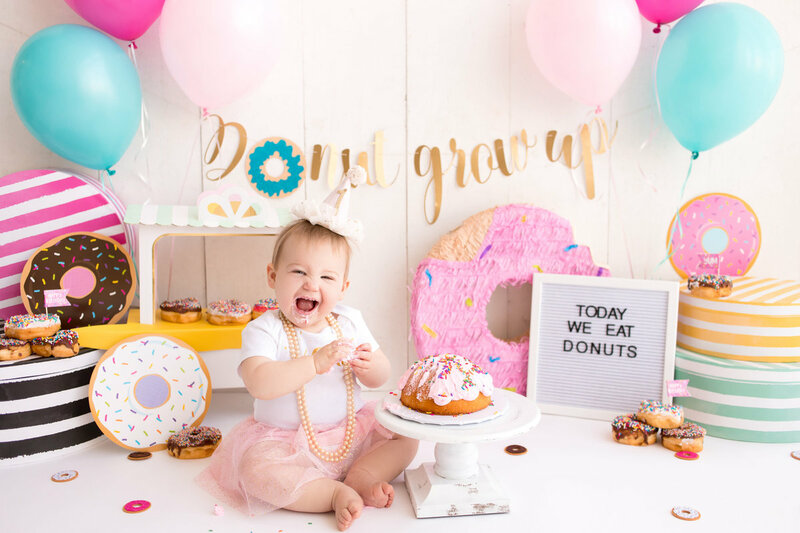 As a Dallas baby photography we love to give the best birthday experiences! 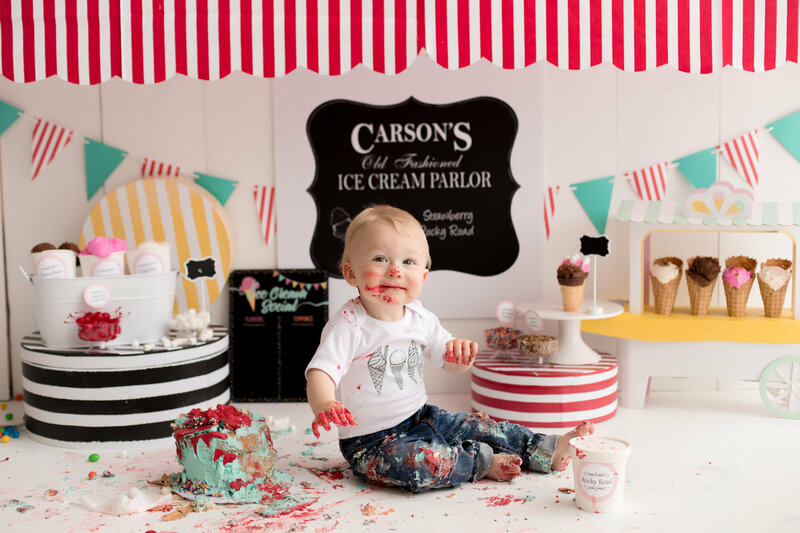 Cake Smash sessions are a great way to celebrate your baby's milestone! 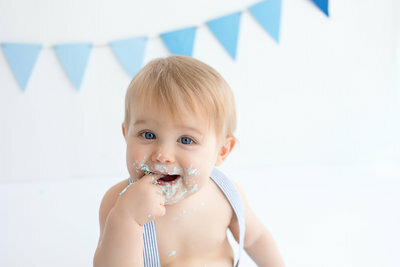 One year cake smash sessions are typically held a month before your child’s first birthday. 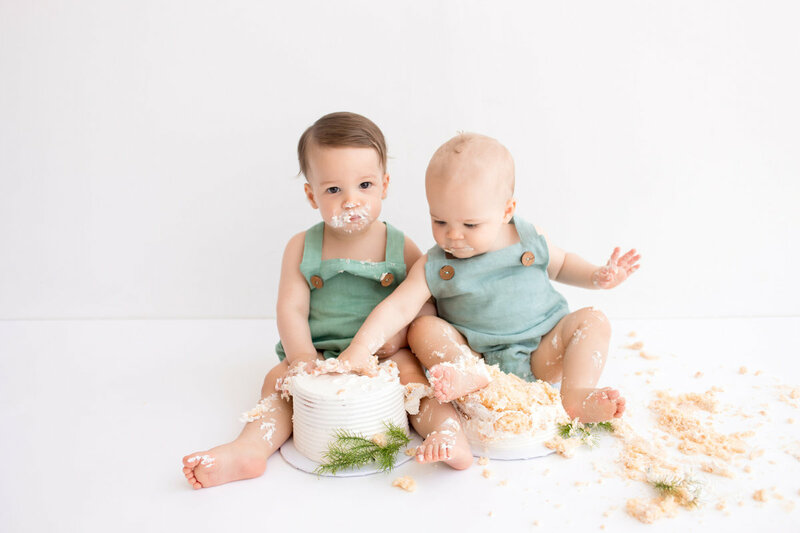 We offer two cake smash set up options, Classic White set up or Themed Cake set up and we will be provide the cake for both types of sessions. 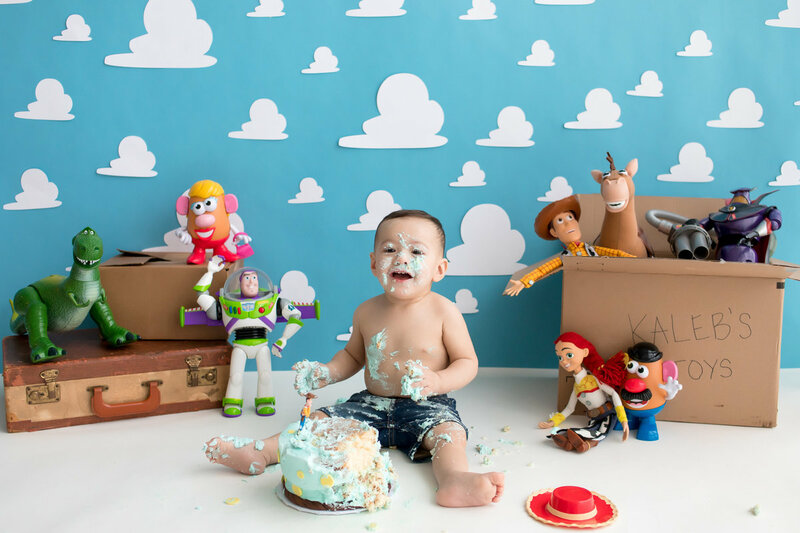 These sessions include anywhere from 15-40 images depending on how well your child responds to the cake smash. Every child reacts differently but it is very rare we can not get good images! We got you covered! Our studio has a bath tub and we keep everything on hand, including towels, wash cloths, baby soap and plastic bags for your dirty clothes! 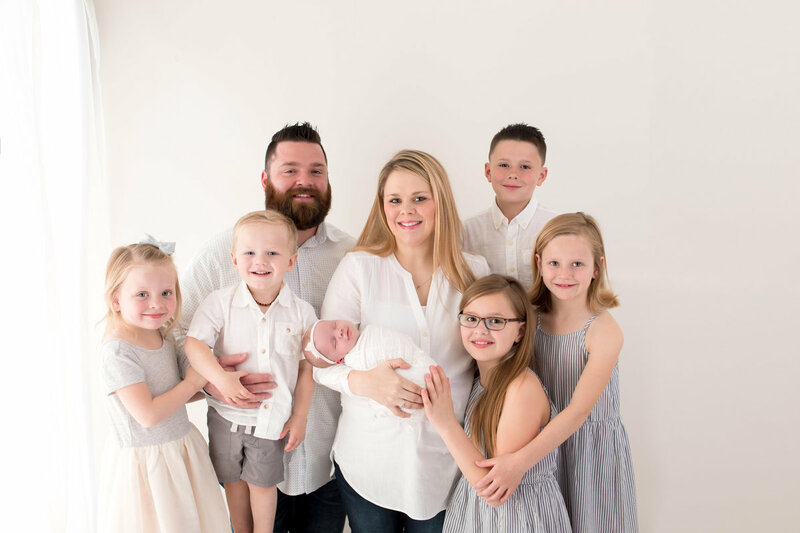 Family can be added into portraits before for an additional $50. Please email us to see our full pricing guide for more details! 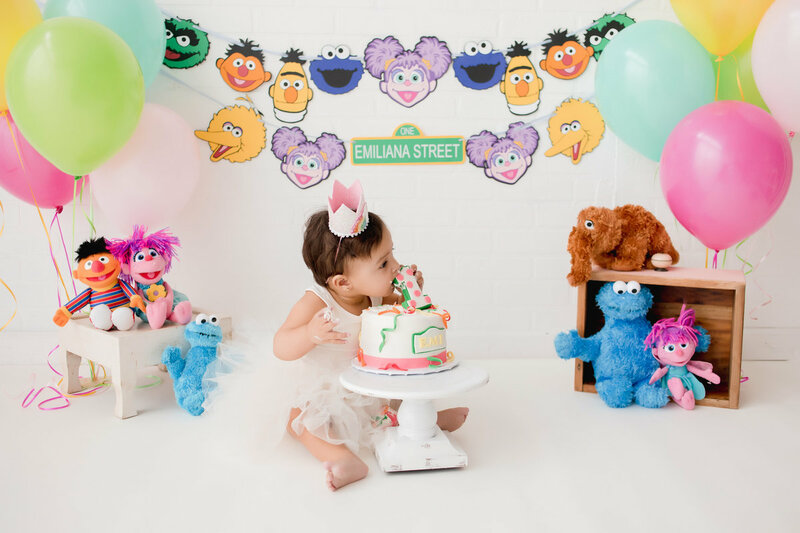 Ready to create some amazing memories to share with your kids? 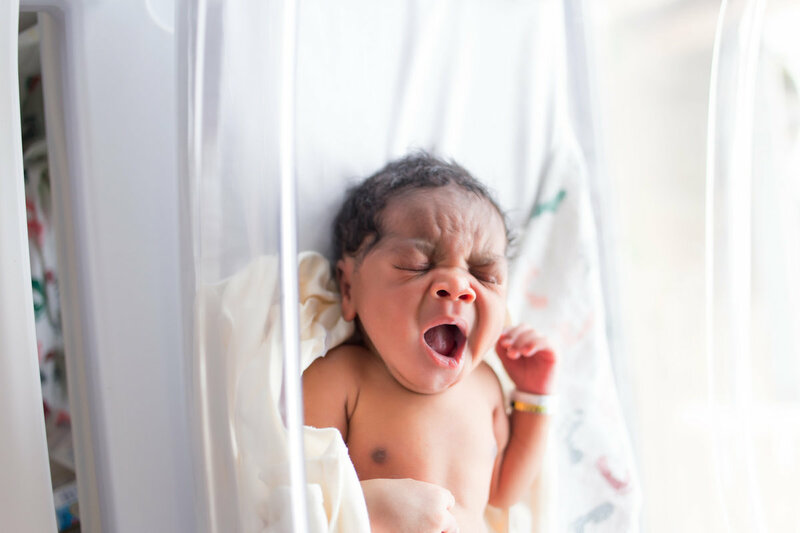 As a Dallas Newborn Photographer and a expecting mom, I believe the first year of life is one that deserves to be captured forever in images. It’s a time that should be slow, so you can totally enjoy it. 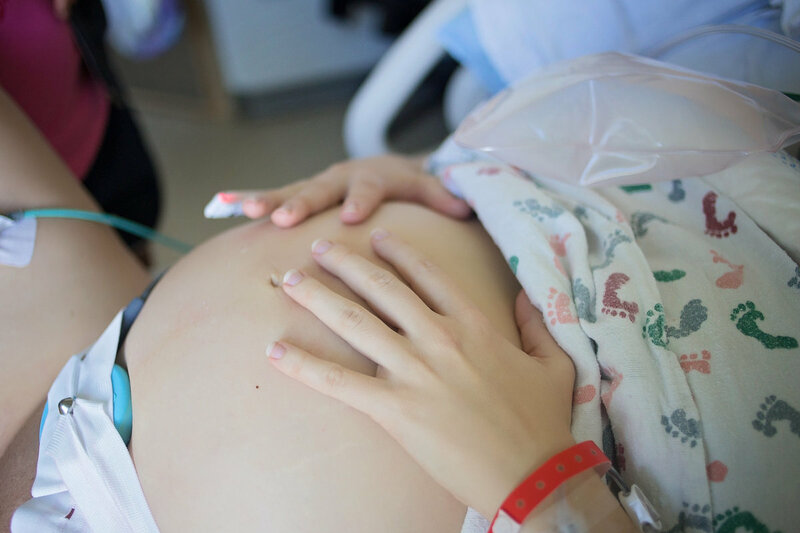 But, it’s one of the most fleeting times in the life of your new family. It’s a time that’s meant to be enjoyed forever. 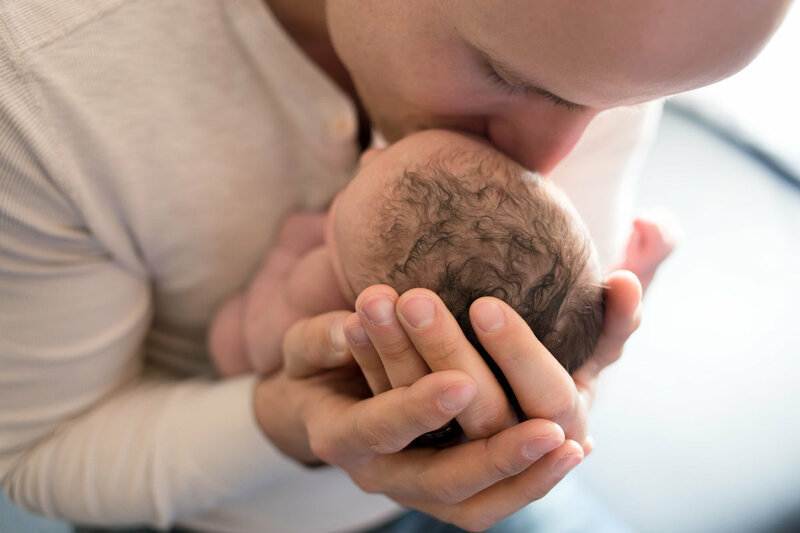 With newborn photographer Jessica Cook, she can help you have a record of those special times. 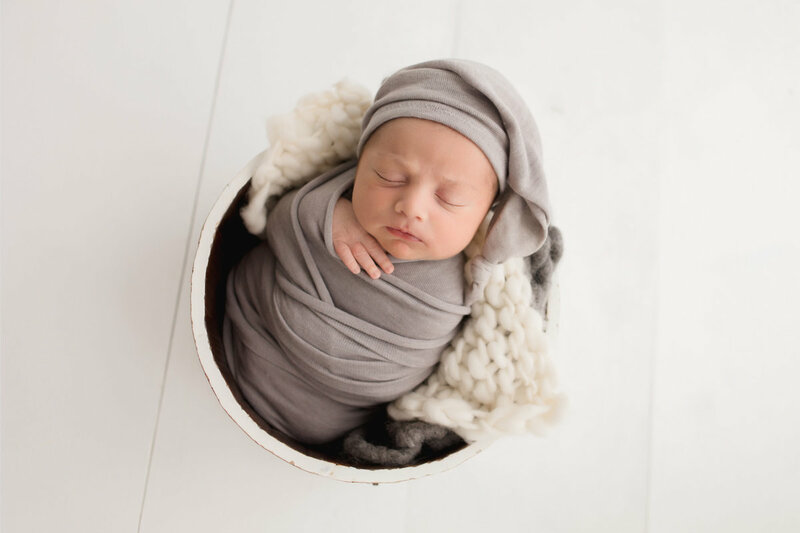 As a result, you will receive beautiful photographs of your snuggly little bundle that will be treasured forever. 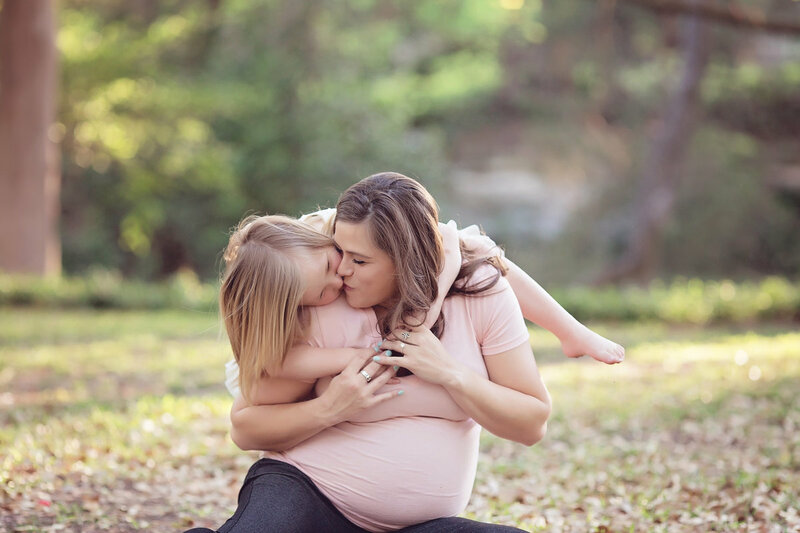 Jessica specializes in providing you those stunning images of the love of your life through her photography. 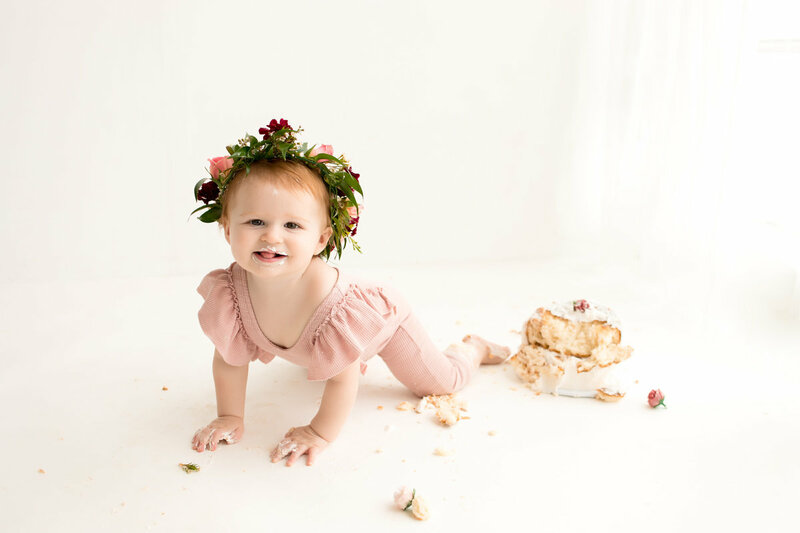 Inside her Lakewood Dallas studio, there is everything needed to photograph your little one. From props and blankets to headbands and hats. 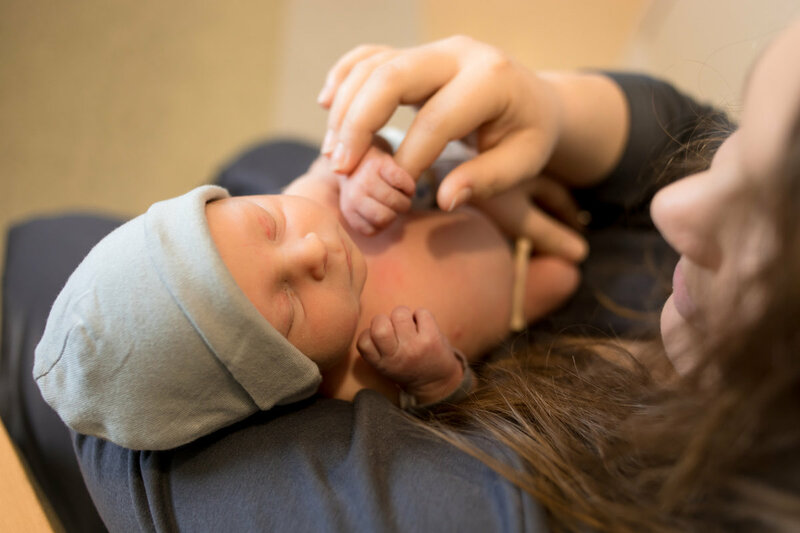 You don’t need to bring anything except your beautiful little newborn. 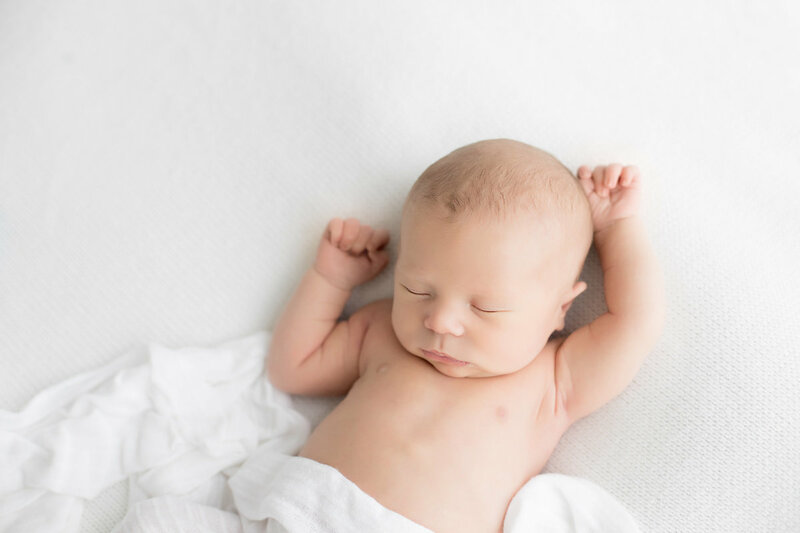 In the newborn studio, there is a comfortable sitting area. 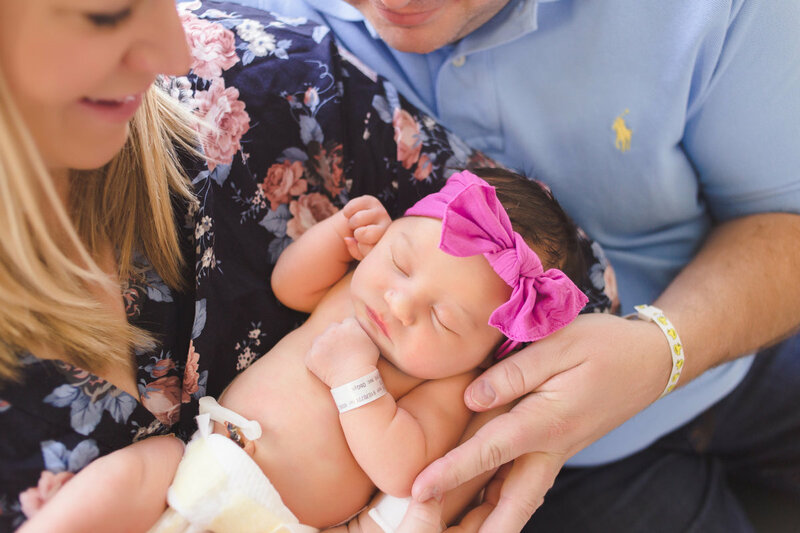 Parents can relax and watch the newborn photographer in action. 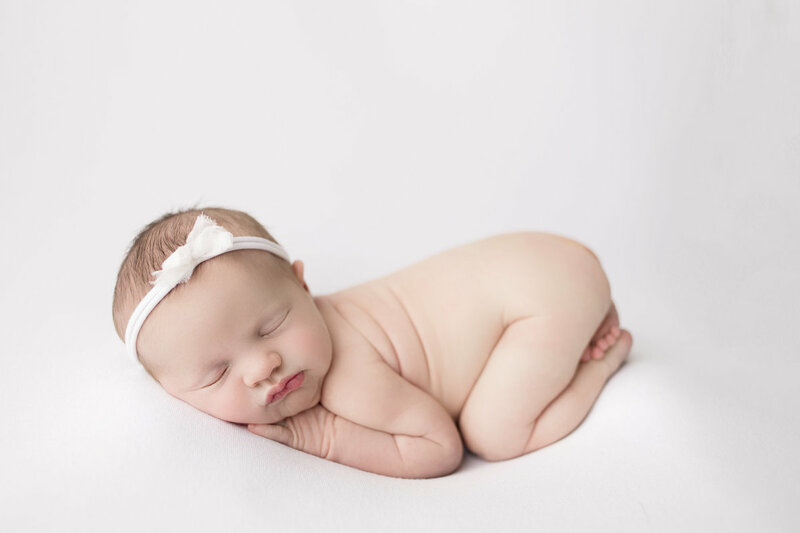 While all newborn sessions are done in her studio. 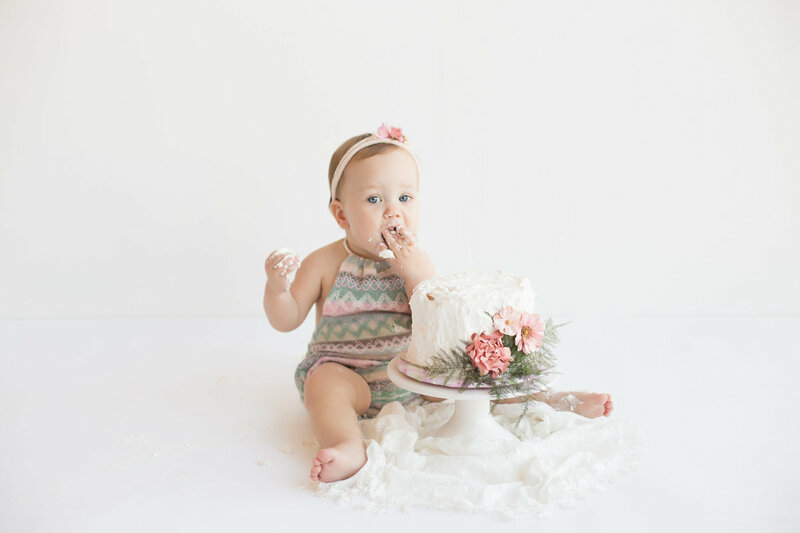 She also offers studio and outdoor maternity, baby milestone, family and cake smash photography sessions year round. 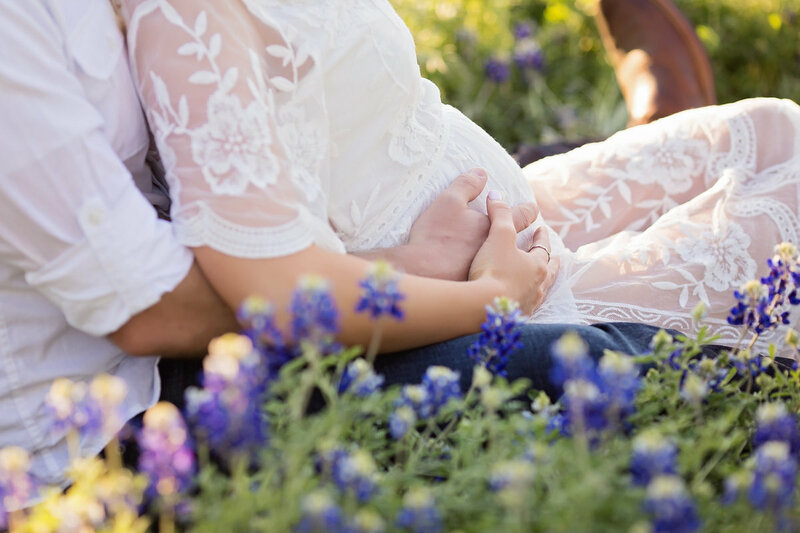 From the bump to baby, parents will find a package that fits their needs and budget. 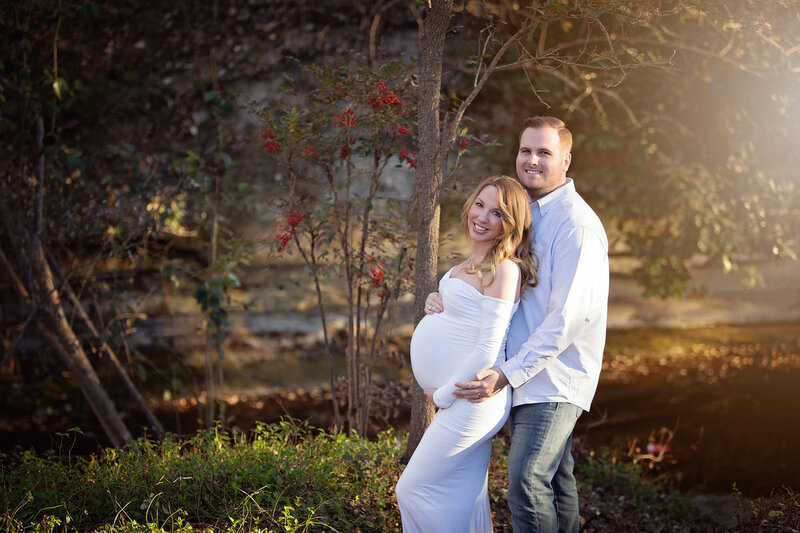 Jessica’s outdoor sessions are all done in beautiful spots around the Dallas area. 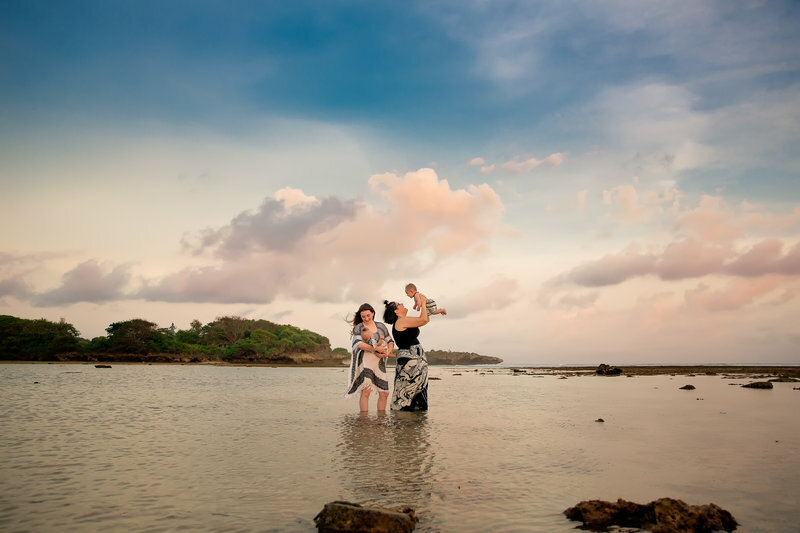 Our Field location’s provide a fabulous backdrop and stunning lighting for her gorgeous sunset photography. 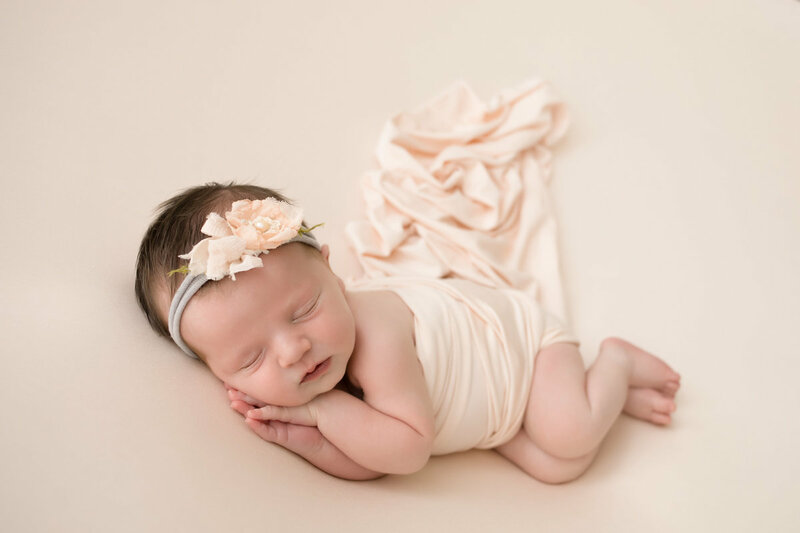 Along with all the props, blankets and hats for newborn and baby photography, the studio offer maternity gowns for clients to use too. 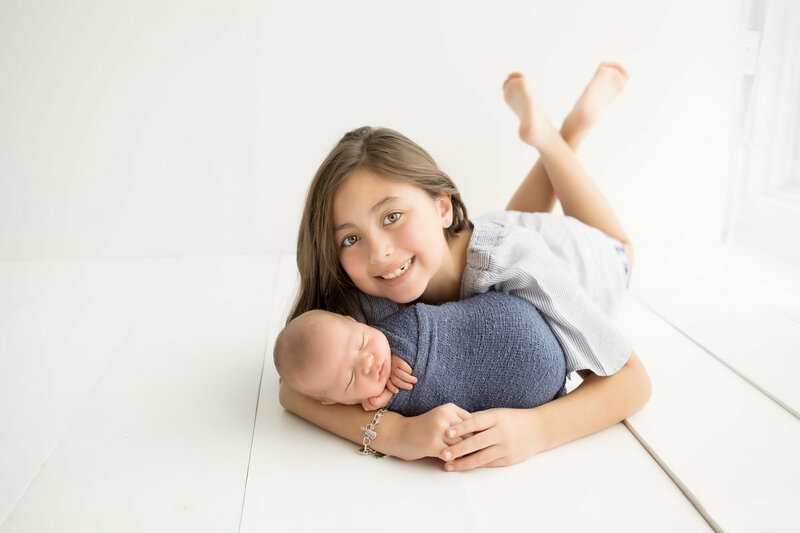 As a baby and newborn photographer, Jessica focuses on capturing the squishy goodness of your little bundle. 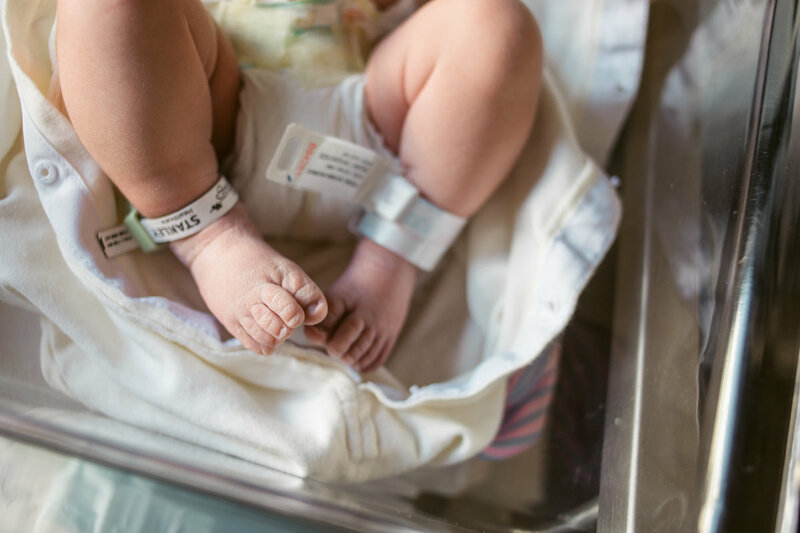 While there are props, hats and blankets for the infant, they don’t distract from the details of your newborn like tiny, perfect toes and chubby, little cheeks. 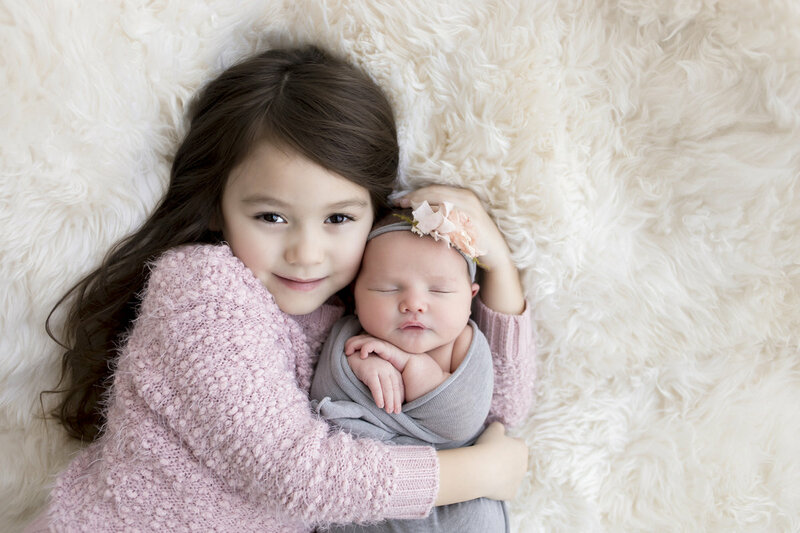 With Jessica Cook as your newborn photographer, you’ll get stunning photographs of your growing family. 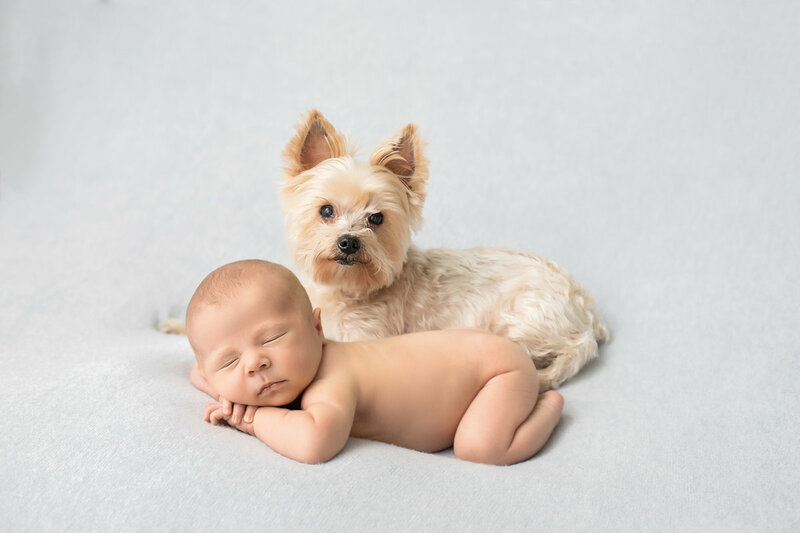 The studio offers digital images with all of our packages. So, you will receive your edited digital files with a print release. They also offer printing services from a professional lab. So, you can get professional prints, albums, canvases and custom woodblocks to feature around your home at an affordable price. 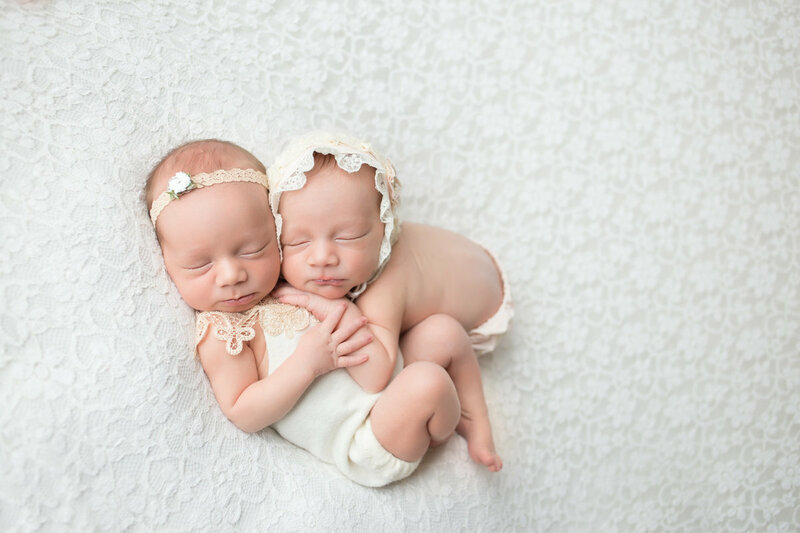 JESSICA COOK IS A PROFESSIONAL DALLAS NEWBORN PHOTOGRAPHER. 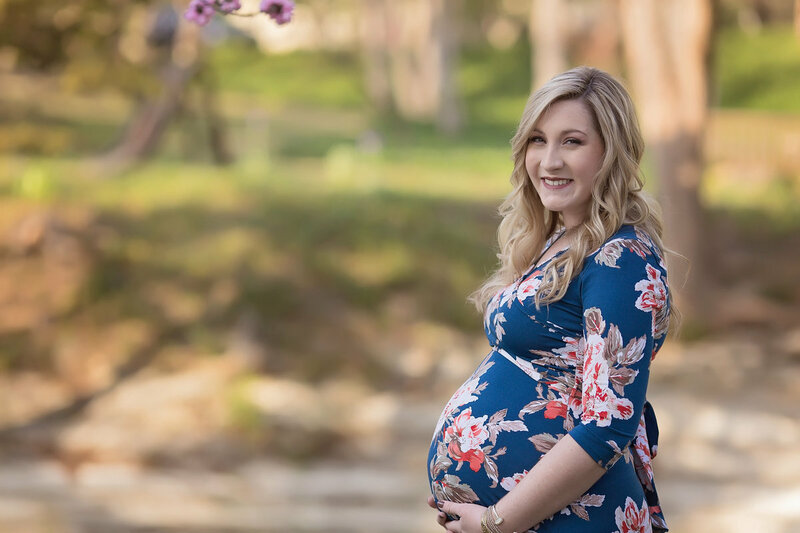 SHE SPECIALIZES IN MATERNITY PHOTOGRAPHY, BABY PHOTOGRAPHY, CAKE SMASH PHOTOGRAPHY, FAMILY PHOTOGRAPHY AND NEWBORN PHOTOGRAPHY IN DALLAS TEXAS. 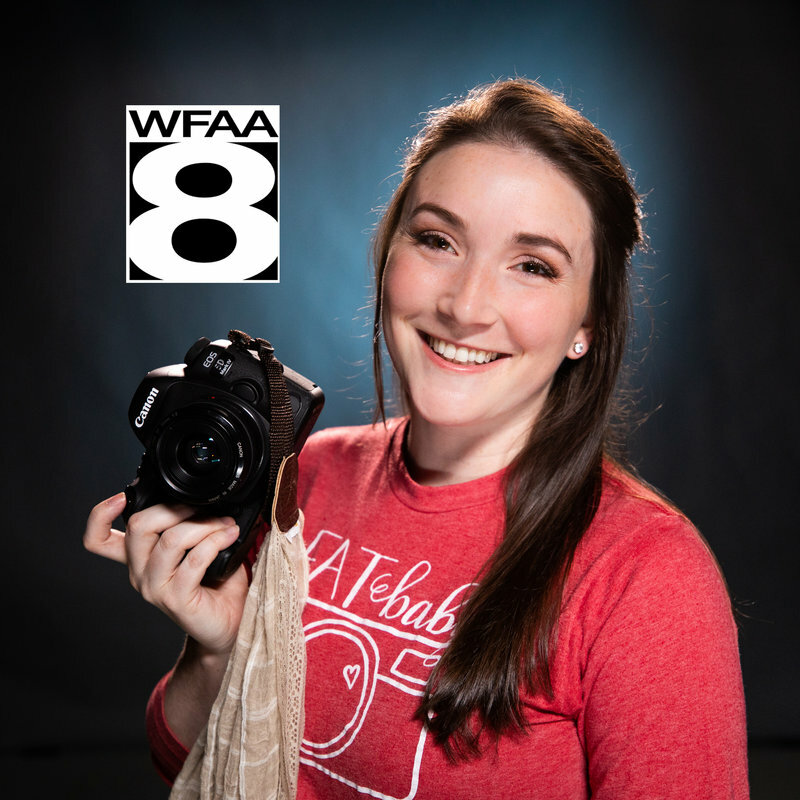 JESSICA ALSO SERVES THE SURROUNDING AREAS INCLUDING BUT NOT LIMITED TO LAKEWOOD, EAST DALLAS, PLANO, FRISCO, ROCKWALL, WAXACHAHIE AND FORT WORTH.